Hello readers, I’d like to introduce myself if you don’t already know me. My name is John Roberts II and I’m from St. Louis, Missouri. I am the 2012 US National Champion and have also done well at other major tournaments, including 4th, 8th, 17th, and 19th at regional championships, and 26th at the 2017 North American International Championship. I won’t go into the state level and below because they’re not as large of tournaments. After taking a three season break from the competitive scene, I’m going full steam ahead this season to earn my third worlds invite and will work hard to do so. Now let’s get into what you all came for! I can’t stress enough how important playtesting is in the Pokemon TCG. I understand that some players don’t choose a deck until the night before a tournament, or even worse, build one the day before. All I have to say is that you almost never want to do that if you’re looking to do well enough to make Day 2 at a Regional Championship or International Championship. Building a deck the day before should never be done, while choosing one very late is only acceptable if you’ve been testing some decks leading up to the event, but haven’t decided on one of those TESTED decks yet. Some top players can get away with not testing a deck beforehand, but it’s only because of their natural understanding of the format, lists, and card interactions. If you’re not fully there yet, I don’t recommend doing that. What I will get into, will hopefully help you get closer to or actually get you to the next level for competitive Pokemon. One important factor of testing is to always make sure to test against decks that you will likely face at the next event. I’ve seen too many players only test with or against 1-2 decks, giving them a huge disadvantage because of not knowing exactly how the rest of the decks in the format work. Not only that, but they are most likely putting cards in their deck to make it good against that particular deck, making other matchups worse. It’s best to write down all the different decks in the format and plan to test against the top 5 at least a few times and the rest once or twice, depending on how relevant they are. If you have more time, then keep testing the Top 5 until you get the matchups down. If you’re not sure what the meta looks like, there are plenty of ways to acquire that information. Here at The Charizard Lounge is a good place to look, giving you tournament results, meta breakdowns, and top lists for popular decks. You can also go on other sites, YouTube, and social media to get information. Information gathering is something I do a lot leading up to an event because that’s what will help me figure out how the format will look and what I will likely face at the tournament. It’s not something that I will go into to much depth, but I feel it’s worth mentioning. If there is a deck that will give you a hard time, but is winnable, by all means, test that matchup until you figure out how to make it closer to even. On the other hand, if something is near impossible to win, like a 20-80 matchup or worse, just play a few games against it to make sure the matchup is what it is. If the games continue to be landslides, don’t bother wasting time testing the matchup. The same goes for matchups that are 80-20 or better. You still want to play a few games so you will know how to approach the matchup and the lines of play you should make to win, but don’t put too much time into it. If the decks are of the top 3 then you will want to test the matchups only a little more since you will be playing against it more often in tournaments. Some may not have the luxury to do this, so I only advise this if you have a testing group willing to allow you to watch or get involved with their games. It is always good to watch other players play, especially the ones with more tournament success. This will allow you to see the cards in their hand and what plays they make. Watching games can enlighten you on lines of play that you otherwise may not have thought of or not thought were viable. Asking questions is helpful too because you don’t want to blindly follow what others do. Knowing the reason why a card was searched or played, why an energy was attached/not attached, why there was no attack, and other things can give you a better understanding of how to play certain matchups or just the game in general. If you’re more experienced with the game or matchup, then you can actually GIVE advice during other games. Like I said, only do this if everyone is okay with it. If everyone gets involved, including the players across from each other, it will make for an entire learning experience due to seeing everyone’s perspective or opinions. Of course not everyone can be right and it’s possible no one can be right, but maybe that could be the way your opponent at the tournament is thinking while piloting that deck. It can potentially give you an upper hand in the mind games. Remember that it’s important to not get into an argument about what the “correct” play is and it’s ultimately the decision of the players with the cards in their hands. For those with the equipment, you can also record your matches to review them later. This will give you the opportunity to see potential mistakes or other lines of play that could have put up better results. Allowing others to view the games can also be helpful to get other perspectives. • You get an accurate read on how the matchup plays out. • It prepares you for the real opponents at the tournament that actually make the correct plays. • You get in the habit of making better plays and choices. • It won’t give you false confidence/or lack thereof due to inaccuracies. • Testing will be more enjoyable. • You may win games because your testing partner misplayed. Notice that I did not include anything with coin flips, it’s a grey area because there’s no real way to accurately test cards that require a flip. You can change a target after flipping heads, but I don’t feel that it should be taken back entirely due to the nature of the cards. Now that there is an understanding on how to approach take backs, I will move on to the next point that may surprise you. This is something that I’ve yet to see anyone else do and I feel that it gives everyone a false boost of consistency for their decks. One may argue, “I still get set up the games I don’t draw mulligans.” That’s a good point, but it still doesn’t tell the full story. The games where you DO draw mulligans, was that extra card useful in your setup? Was it an energy, Pokemon, or trainer that you needed? Was it the extra card to discard for the Ultra Ball? Not to mention, drawing an energy can allow you to discard it with Ultra Ball or Professor Sycamore to use Aqua Patch or Dark Patch. Let’s say you decided to stop drawing mulligans with that exact deck. Now you’ve given your deck less chances to draw out of a bad hand or a not as good/mediocre start. It’s very important to know what your deck performs like without ever having any extra cards. What players don’t realize is that what seems like a small advantage, can and probably will turn into a snowball effect throughout the game, therefore winning games that they wouldn’t have won without drawing the extra card. I will say that this does not prepare you for the tournament. Though I know it was unusual, at the North American International Championship, my opponents mulliganed a total of 4 times out of 15 rounds. Thank goodness I tested my deck without ever drawing extra cards because I would’ve missed them throughout the tournament. That way of testing allowed me to get my Vikavolt/ Tapu Bulu GX deck to a point where I’d have turn 2 Vikavolt in almost every opening hand without even drawing my card for turn. Those games where I drew for mulligan, let’s just say they weren’t even close. Because of the sheer consistency of the deck, I didn’t take a loss until the 9th round against John Kettler and his Decidueye/Vileplume deck. I know most think I’m crazy for not drawing mulligans, but trust me that it only helps you figure out the flaws in your deck before getting to the tournament. I’ve been doing this as long as I’ve been playing and it’s worked, so I will stay with it. Regardless of how good you think your deck may be, it’s always a good idea to keep a small stack of cards that you are considering adding to your deck. This will make it easier to figure out what cards are more important in your deck because without that stack of cards set aside, you may not think of one or more of those cards during testing. The cards can be referenced at any time so you can always know what cards are having the most situations where it can be useful. You can also just alter your deck on the fly, giving you more time to test instead of wasting that valuable time finding the cards you want to use. One interesting aspect of the stack of cards you set aside, is that you can actually swap cards out during or in between games. If you’ve figured out that a card is useless in your deck, there’s no point in continuing with it in there. Now, I wouldn’t go as far as swapping a line of Pokemon mid game, but swapping Trainer cards is acceptable. I would limit the swapping to one card per game and play at least a couple of games before doing another swap. If you need to swap Pokemon lines, you would be making it a slightly different deck if not entirely different. So, I wouldn’t advise changing Pokemon lines unless you’re trying to test different deck concepts. From my experience, changing out cards while testing has allowed me to test more efficiently and figure out what the optimal list is much quicker. Always keep in mind that certain matchups can make a card an all-star or on the opposite end of the spectrum, completely useless. 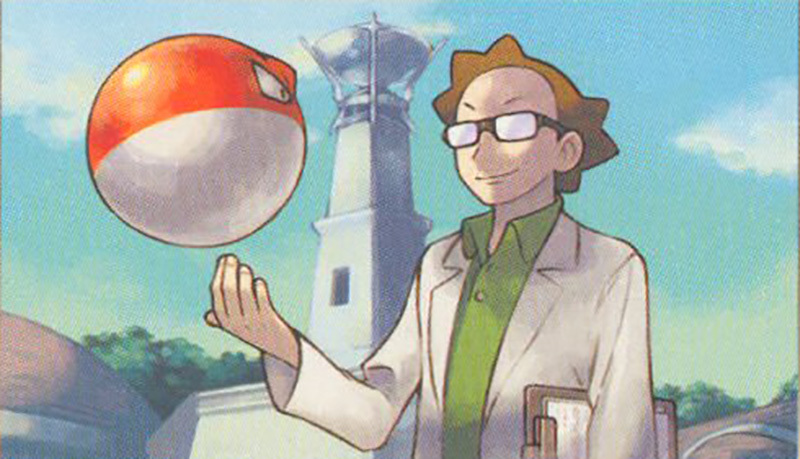 One major example of a all-star or bust is the Supporter card, Pokemon Ranger. If you have Pokemon Ranger in your deck, odds are it will be useless unless you’re facing Seismitoad EX, Giratina EX, or something else with an attack that affects you on your turn. Does that mean you shouldn’t play Pokémon Ranger? Not necessarily. If you think decks that include those type of attacks will be popular and will affect your game plan, by all means play it. You shouldn’t let testing against matchups that a card is useless in change your view of the usefulness in the matchups you put it in for. Testing alone has been something that a lot of players have done to figure out matchups, test consistency of lists, or even to become better at the game. It’s something I feel every player should be able to do if they want to succeed at tournaments. Not only does it help you figure out lists, but it will make you think more because you are your own opponent. When I say solitary testing, I know most of you will think I mean piloting two opposing decks and alternating between them. Even though testing two decks against each other is great, I feel there is a more effective way to do solitary testing. One way I do solitary testing it to just do test hands. What that means is I set up as normal with my seven cards, put out my basic, and put my prizes out. I then proceed to pretend that my opponent doesn’t exist (which they don’t) and see how well I set up for the first few turns. After about turn 3 or 4, I pick up everything and shuffle up to do it all over again. Because the first few turns are the most important, you want to do as few turns as possible before going to the next hand so you can have a good idea of what needs to be changed to increase your chances of setting up. Once consistency is down, I like to take it a step further and do what I call “worst case scenario”. That means that you actually have an imaginary opponent and let them have their best turns or close to it. It’s always ideal to have a good understanding of what each deck in the format can do so you can apply that to this method of testing. Testing your deck while it’s always under extreme pressure, will not only help you figure out what to adjust in your deck, but it will also make you a better player. The reason it makes you a better player is because you will be constantly challenged, trying to find ways back into the game and looking for a path to victory. I will admit, I’ve lost a lot of solitary games due to my opponents drawing so hot. That okay because I’d rather make my testing games as hard a possible so I can be prepared come tournament time. If you’re constantly being put on the back foot and not being able to come back, it’s time to adjust your deck to change that. I understand that most games won’t play out like these “worst case scenario” games will, but if you can beat these, you can beat anything! That’s all I have for you today and I hope that everyone took something from my personal take on testing. Feel free to try out these methods and let me know how it works for you and your testing partners. I’m probably going to attend all of the Regional Championships in the United States and hopefully more than one International Championship, so feel free to say something if you see me. Good luck to everyone this season and remember to not stress have fun! Very interesting and useful! What do you think about testing decks and variations through TCGO? Wow , I literally have been doing all this since I decided to try and play Pokémon competitively for the first time! ( about a month ago). Glad to hear I was going Down the right track!’ I’ve even gotten down to timing my turns, timing matches, forcing scoops whenever I want to consider time as an option for trying to win out the set. And even playing with my hand down on a turn where I really don’t know what to do and open a discussion with my testing partner about what is the highest success rate order of operations for a turn without knowing what my opponent has. The whole worst case scenario thing is something I love to do. It really makes you think about how to grind out of any situation. What I do is I pause the time where I think I would have scooped based on board position. Then I keep playing. And then I see if the extra time wasted was worth it or if there was a way to finish the game in a way that I could still pull out the win. Then I pause the time again( when I say pause I mean push lap so it records the time but keeps going) and use the time to pace my turns and put myself in s tournament setting. Thank you for this article!! Still a great read!! I’m glad to hear you’ve been doing all of that! It sounds like you’re setting yourself up for success. Just make sure to make the best plays at the tournament and you should do well.